James St.Pierre is Deputy Director of the Information Technology Laboratory (ITL). ITL is one of six research laboratories within the National Institute of Standards and Technology (NIST) with an annual budget of $120 million, more than 350 employees, and about 160 guest researchers from industry, universities, and foreign laboratories. 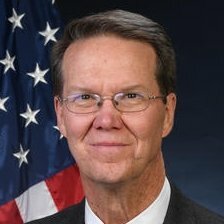 Mr. St.Pierre oversees a research program designed to promote U.S. innovation and industrial competitiveness by developing and disseminating standards, measurements, and testing for interoperability, security, usability, and reliability of information systems, including cybersecurity standards and guidelines for federal agencies and U.S. industry. In addition, Mr. St.Pierre oversees ITL’s Internet of Things (IoT) and Big Data research programs.